﻿﻿On November 28, 1942, over 1000 young men and women, including soldiers, sailors, politicians, newlyweds athletes. movie stars and just plain hard working New Englanders counted themselves as the fortunate ones - they had managed to secure a spot in the most desirable supper club in Boston. 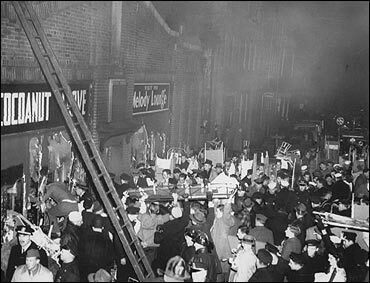 Almost 500 people perished and hundreds were injured in the Cocoanut Grove fire. It was America's deadliest nightclub fire, and the fifth largest disaster in American history (after Pearl Harbor and 9/11 (3000 dead in each), the Titanic (1500 dead) and the Chicago Iriquois Theatre fire (600 dead). The fire at Cocoanut Grove led to truly monumental changes in building code requirements (exit signs, crash bars, emergency lighting, sprinklers, occupancy limits and nonflammable materials, etc.) and five historic changes in medical care (advances in burn therapies, the first widespread use of penicillin, the first enunciation of PTSD, and the establishment of the first blood bank). 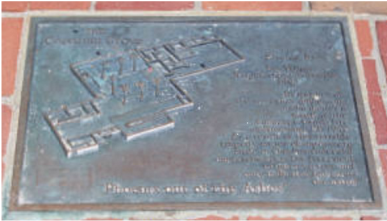 Yet today, 72 years after the fire, the only memorial that exists to this significant moment in history is a street sign at the site of the former nightclub; "Cocoanut Grove Lane." The 2013 nightclub fire in Brazil, the 2003 Station Fire in Rhode Island and the most recent nightclub fire in Romania tragically revealed that what happened at Boston's Cocoanut Grove nightclub is not just history. We still urgently need to learn its lessons. What better than a movie to help us remember to look for the exit signs? 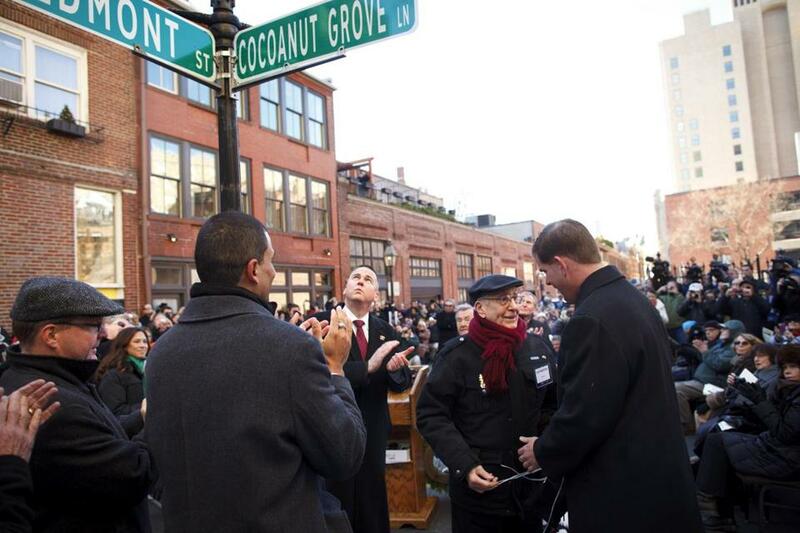 Cocoanut Grove the Movie will be a living memorial. Memorials and commemorations are not only for survivors and those who've lost a loved one, nor are they about just one particular tragedy. Memorials are teaching tools for our children; for future generations to learn its lessons, honor their ancestors, and to prevent a tragedy like this from ever happening again. Fenway Park, Saturday November 28, 1942. Boston College vs. Holy Cross; the winner heads to the Sugar Bowl. A poster printed two weeks prior to the game portrayed BC's two All American players on it. One's jersey read 55, the other 12. BC's football team was so favored to win that Mayor Tobin and his entourage reserved tables for a victory celebration at Boston's famed Cocoanut Grove nightclub. They cancelled that afternoon. A wind kicked up mid game and Holy Cross ended up upsetting BC. Only hours later, almost 500 people died when the Cocoanut Grove nightclub went up in flames. The story of the Cocoanut Grove fire remains one of the most intriguing in American history for the multitude of topics that it encompasses and yet for all its intrigue, there has never been a movie about that night. Perhaps we needed time to forget before we were asked to remember, but there is no disagreement that it is a story that must be told as only a film can.